Experience, compassion and a great staff to get you well. William Brad Shaw DC, D.C.
Jim VanSlooten, D.C., is a chiropractor located in Salt Lake City, UT. Techniques: • Diversified • Palmer Package • Nimmo • Pierce Stillwagon Technique • Motion Analysis (Palpation) • Neuro Mechanicle Take the next step and contact Dr. Jim VanSlooten, D.C., for a consultation in Salt Lake City, UT or to get more information. Lance W Walker, D.C., is a chiropractor located in Salt Lake City, UT. Techniques: • Pettibon • Diversified • Activator Methods • Gonstead • Hole in One • Palmer Package • Ideal Protein Weight Loss Take the next step and contact Dr. Lance W Walker, D.C., for a consultation in Salt Lake City, UT or to get more information. R Kenneth Green, D.C., is a chiropractor located in Salt Lake City, UT. Techniques: • Gonstead • Cox • Diversified • Thompson Take the next step and contact Dr. R Kenneth Green, D.C., for a consultation in Salt Lake City, UT or to get more information. Richard K Madsen, D.C., is a chiropractor located in Salt Lake City, UT. Techniques: • Diversified • Gonstead Take the next step and contact Dr. Richard K Madsen, D.C., for a consultation in Salt Lake City, UT or to get more information. Kenneth Green, D.C., is a chiropractor located in Salt Lake City, UT. Techniques: • Gonstead • Diversified • Pettibon • Activator Methods • Thompson • Flexion-Distraction • Cox • Trigger Point Take the next step and contact Dr. Kenneth Green, D.C., for a consultation in Salt Lake City, UT or to get more information. Todd Singleton, D.C., is a chiropractor located in Salt Lake City, UT. Take the next step and contact Dr. Todd Singleton, D.C., for a consultation in Salt Lake City, UT or to get more information. Damon W Green, D.C., is a chiropractor located in Salt Lake City, UT. Take the next step and contact Dr. Damon W Green, D.C., for a consultation in Salt Lake City, UT or to get more information. Ron Boyer, D.C., is a chiropractor located in Salt Lake City, UT. Take the next step and contact Dr. Ron Boyer, D.C., for a consultation in Salt Lake City, UT or to get more information. Kory Branham, D.C., is a chiropractor located in Salt Lake City, UT. Techniques: • Diversified • Applied Kinesiology Take the next step and contact Dr. Kory Branham, D.C., for a consultation in Salt Lake City, UT or to get more information. Douglas R Davis, D.C., is a chiropractor located in Salt Lake City, UT. Techniques: • Diversified Take the next step and contact Dr. Douglas R Davis, D.C., for a consultation in Salt Lake City, UT or to get more information. Jeffrey G Hanks, D.C., is a chiropractor located in Salt Lake City, UT. Take the next step and contact Dr. Jeffrey G Hanks, D.C., for a consultation in Salt Lake City, UT or to get more information. Ted L Conger, D.C., is a chiropractor located in Salt Lake City, UT. Techniques: • Palmer Package Take the next step and contact Dr. Ted L Conger, D.C., for a consultation in Salt Lake City, UT or to get more information. Galen C Birdsley, D.C., is a chiropractor located in Salt Lake City, UT. Techniques: • Gonstead • Applied Spinal Biomechanics Engineering • Bio-Energetic Synchronization Technique Take the next step and contact Dr. Galen C Birdsley, D.C., for a consultation in Salt Lake City, UT or to get more information. Christopher Kesler, D.C., is a chiropractor located in Salt Lake City, UT. Techniques: • Diversified Take the next step and contact Dr. Christopher Kesler, D.C., for a consultation in Salt Lake City, UT or to get more information. Tim Apgood, D.C., is a chiropractor located in Salt Lake City, UT. Take the next step and contact Dr. Tim Apgood, D.C., for a consultation in Salt Lake City, UT or to get more information. John Christiansen, D.C., is a chiropractor located in Salt Lake City, UT. Take the next step and contact Dr. John Christiansen, D.C., for a consultation in Salt Lake City, UT or to get more information. Dan Berlin, D.C., is a chiropractor located in Salt Lake City, UT. Techniques: • Pierce Stillwagon Technique • Thompson • Toggle Recoil Take the next step and contact Dr. Dan Berlin, D.C., for a consultation in Salt Lake City, UT or to get more information. Derek JM Parkes, D.C., is a chiropractor located in Salt Lake City, UT. Techniques: • Diversified • Active Release Technique Take the next step and contact Dr. Derek JM Parkes, D.C., for a consultation in Salt Lake City, UT or to get more information. Joseph Nicolich, D.C., is a chiropractor located in Salt Lake City, UT. Techniques: • Chiropractic Biophysics Take the next step and contact Dr. Joseph Nicolich, D.C., for a consultation in Salt Lake City, UT or to get more information. Laney W Nelson, D.C., is a chiropractor located in Salt Lake City, UT. Techniques: • Diversified Take the next step and contact Dr. Laney W Nelson, D.C., for a consultation in Salt Lake City, UT or to get more information. Raymond S Binkerd, D.C., is a chiropractor located in Salt Lake City, UT. Techniques: • Diversified • Gonstead • Sacro Occipital Technique • Applied Kinesiology Take the next step and contact Dr. Raymond S Binkerd, D.C., for a consultation in Salt Lake City, UT or to get more information. Kirk Applegate, D.C., is a chiropractor located in Salt Lake City, UT. Take the next step and contact Dr. Kirk Applegate, D.C., for a consultation in Salt Lake City, UT or to get more information. John Anderson, D.C., is a chiropractor located in Salt Lake City, UT. Techniques: • Diversified • Palmer Package • Activator Methods Take the next step and contact Dr. John Anderson, D.C., for a consultation in Salt Lake City, UT or to get more information. Bradley J Hendricks, D.C., is a chiropractor located in Salt Lake City, UT. Take the next step and contact Dr. Bradley J Hendricks, D.C., for a consultation in Salt Lake City, UT or to get more information. James A Brown, D.C., is a chiropractor located in Salt Lake City, UT. Take the next step and contact Dr. James A Brown, D.C., for a consultation in Salt Lake City, UT or to get more information. Kristina A Stitcher, D.C., is a chiropractor located in Salt Lake City, UT. Techniques: • Activator Methods • CranioSacral Therapy • Thompson • Logan Basic • Webster Technique • Torque Release Take the next step and contact Dr. Kristina A Stitcher, D.C., for a consultation in Salt Lake City, UT or to get more information. Lance Hatch, D.C., is a chiropractor located in Salt Lake City, UT. Take the next step and contact Dr. Lance Hatch, D.C., for a consultation in Salt Lake City, UT or to get more information. Ted Kyle, D.C., is a chiropractor located in Salt Lake City, UT. Take the next step and contact Dr. Ted Kyle, D.C., for a consultation in Salt Lake City, UT or to get more information. Duy D Tran, D.C., is a chiropractor located in Salt Lake City, UT. Take the next step and contact Dr. Duy D Tran, D.C., for a consultation in Salt Lake City, UT or to get more information. Gary B Davis DC, CCEP, D.C.
Matt Ramirez, D.C., is a chiropractor located in Salt Lake City, UT. Techniques: • Diversified • Flexion-Distraction • Cox • Manual Adjusting • Thompson • Pro-Adjuster Technology Take the next step and contact Dr. Matt Ramirez, D.C., for a consultation in Salt Lake City, UT or to get more information. Stephen Burningham, D.C., is a chiropractor located in Salt Lake City, UT. Techniques: • Gonstead • Diversified • Activator Methods Take the next step and contact Dr. Stephen Burningham, D.C., for a consultation in Salt Lake City, UT or to get more information. Keith Hansen, D.C., is a chiropractor located in Salt Lake City, UT. Take the next step and contact Dr. Keith Hansen, D.C., for a consultation in Salt Lake City, UT or to get more information. Brian D Burns, D.C., is a chiropractor located in Salt Lake City, UT. Take the next step and contact Dr. Brian D Burns, D.C., for a consultation in Salt Lake City, UT or to get more information. John Tani, D.C., is a chiropractor located in Salt Lake City, UT. Techniques: • Applied Kinesiology • Neuro Emotional Technique Take the next step and contact Dr. John Tani, D.C., for a consultation in Salt Lake City, UT or to get more information. Stuart Yeager, D.C., is a chiropractor located in Salt Lake City, UT. Techniques: • Cox • Diversified • Applied Kinesiology Take the next step and contact Dr. Stuart Yeager, D.C., for a consultation in Salt Lake City, UT or to get more information. Karl J Hawkins Jr, D.C.
Karl J Hawkins Jr, D.C., is a chiropractor located in Salt Lake City, UT. Techniques: • Applied Kinesiology Take the next step and contact Dr. Karl J Hawkins Jr, D.C., for a consultation in Salt Lake City, UT or to get more information. Bruce Gundersen, D.C., is a chiropractor located in Salt Lake City, UT. Take the next step and contact Dr. Bruce Gundersen, D.C., for a consultation in Salt Lake City, UT or to get more information. 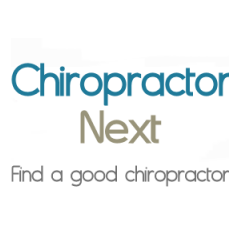 Bruce C Nielson, D.C., is a chiropractor located in Salt Lake City, UT. Take the next step and contact Dr. Bruce C Nielson, D.C., for a consultation in Salt Lake City, UT or to get more information. David Copp, D.C., is a chiropractor located in Salt Lake City, UT. Take the next step and contact Dr. David Copp, D.C., for a consultation in Salt Lake City, UT or to get more information. Rebecca A Hacker, D.C., is a chiropractor located in Salt Lake City, UT. Take the next step and contact Dr. Rebecca A Hacker, D.C., for a consultation in Salt Lake City, UT or to get more information. C Earl Alsop, D.C., is a chiropractor located in Salt Lake City, UT. Take the next step and contact Dr. C Earl Alsop, D.C., for a consultation in Salt Lake City, UT or to get more information. Michael Ron Frogley, D.C., is a chiropractor located in Salt Lake City, UT. Techniques: • Pettibon • Activator Methods • Palmer Package • Thompson • Traction • Modified NUCCA Take the next step and contact Dr. Michael Ron Frogley, D.C., for a consultation in Salt Lake City, UT or to get more information. Brian H. Ewell, D.C., is a chiropractor located in Salt Lake City, UT. Techniques: • Diversified • Thompson • Gonstead • Activator Methods • Flexion-Distraction • Nimmo Take the next step and contact Dr. Brian H. Ewell, D.C., for a consultation in Salt Lake City, UT or to get more information. Bryce Hougaard, D.C., is a chiropractor located in Salt Lake City, UT. Techniques: • Diversified • Chiropractic Biophysics Take the next step and contact Dr. Bryce Hougaard, D.C., for a consultation in Salt Lake City, UT or to get more information. G Richard Wright, D.C., is a chiropractor located in Salt Lake City, UT. Techniques: • Diversified • Gonstead Take the next step and contact Dr. G Richard Wright, D.C., for a consultation in Salt Lake City, UT or to get more information.